We give thought to what they do. How much time they spend on their devices. We consider their future, education, friendships, bedtime, peer pressure, homework. Thinking is a good start. What if we put action to all of that good thought? Ultimately, our worry, fear, over-thinking has good intention. We know this is too important to leave up to chance. We want to raise our boys to be good men. Let's get out of our heads and take intentional steps, together. Let's raise boys who fearlessly pursue the character of God. Heaven came down and the character of God was revealed as man. A bridge between the awe of God and the confines of humanity. We no longer had to wonder about who God was as a person. In this six part series we will walk through what we know about the character of God through His son, Jesus. And how to align our son's hearts (and first our own) with the heart of God. The series begins on February 1, 2019. As part of being subscribed to the series, you will be entered into a fun giveaway, perfect for moms of boys! + Explore six essential parts of the character of Jesus. + Check our hearts in these areas through a lens of grace. + Uncover what areas we can shore up and how. + Speak truth over our son's life. + Lean into The One who is in control of it all. We will keep it interesting and engaging! + It's free! You are welcome to send the link on, join with a friend or small group! + Geared toward moms of boys, but all moms are welcome. If you have school aged children we will be covering topics that hit close to home. If you have younger children it will prepare you for what's ahead. + Moving forward, this series will be offered for a fee, so take advantage of this valuable content now! 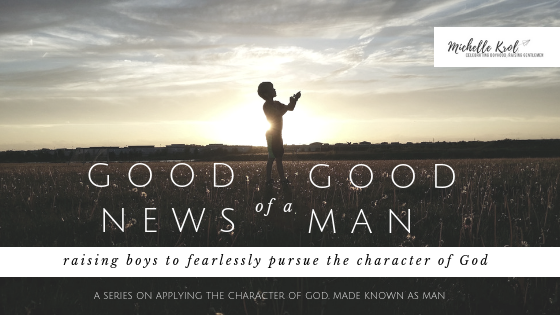 Let's raise boys to fearlessly pursue the character of God. 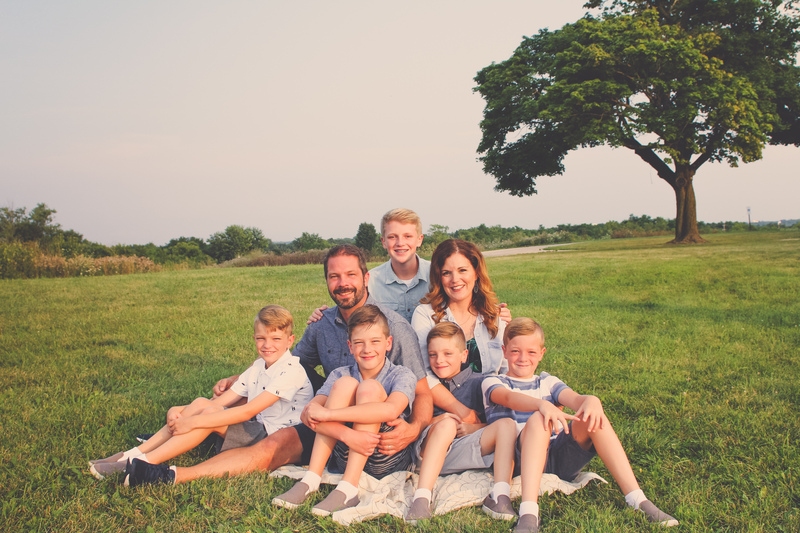 This is us—put together us after a super fun family photo session in which we shined ourselves up in matching shades of blue. I love this crew. These are the faces I fight for everyday to become the men I know God created them to be. 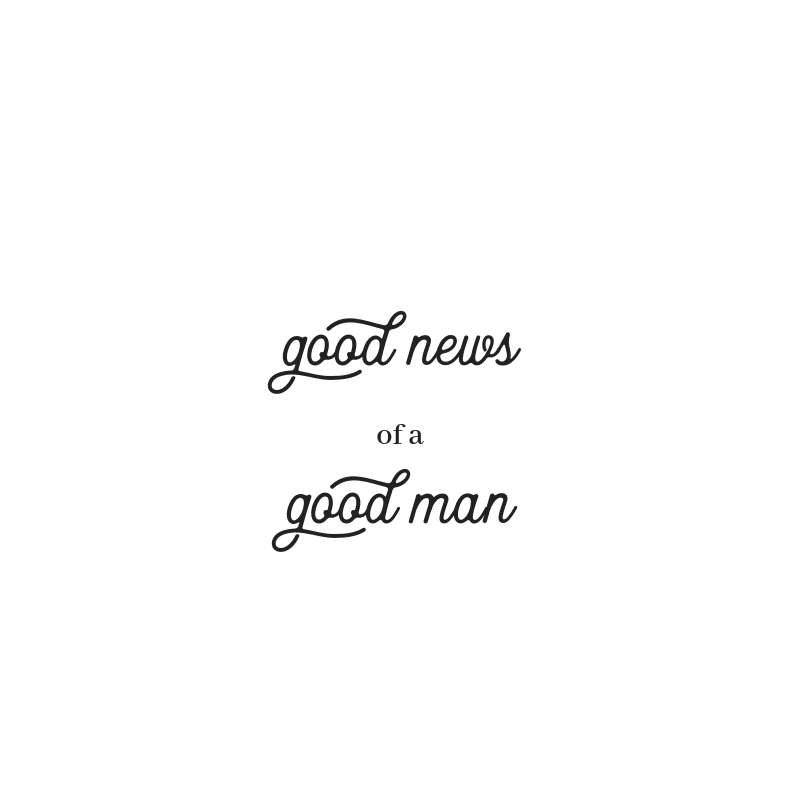 Excited to have you join us for The Good News of a Good Man series. We start February 1st, keep an eye on your inbox!